We are a professional metal fabrication company and do OEM Precision laser cutting sheet metal parts for customer all over the world, we work with many big metal distributors globally and offers high quality products with very fast communication and the fast delivery service. 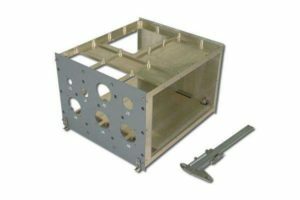 We do different metal parts like stainless steel, aluminum, steel, carbon steel, iron and bronze; with different fabrication ways, we also source assembly parts and do assembly works for our customer offer one-stop-solution. We welcome all OEM designs for stainless steel, aluminum, copper and zinc metal part, pls send us your requirements and we shall offer you a solution. Type OEM/ODM order is welcomed. Please send us drawing or sample for free quotation.